Journal of Histology and Cell Biology is an international, open access, peer reviewed Journal publishing original research & review articles in all the related fields of cell Biology, histology, cytology and in depth topic of cell sciences. 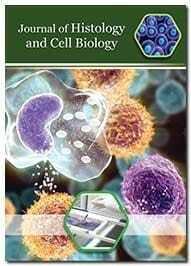 The journal provides a comprehensive overview of the fundamental and applied aspects of Histology and Cell Biology. Journal of Histology and Cell Biology provides a new platform for the researchers, scientists, scholars, students in this field to publish their research work & update the latest research information to the scientific community. Journal of Histology and Cell Biology is an inclusive of all multidisciplinary fields that fall within the Journal scope. We provide unlimited access towards accessing our literature center with immense range of articles. Journal of Histology and Cell Biology aims to publish high quality, diverse article as Research, Review, Mini Review, Rapid Communications, Perspectives, Editorials, and Letters to the editor. The Journal appreciates the high quality submissions and welcome contributions in the various fields including Cytology, Histology, Immunofluoroscence & Staining, Immunohistochemistry, Stem Cell Cytology, Cyto and Histopathology, Cell Physiology, Cell Adhesion and Signalling, Cell Growth & Differentation, Cytogenetics, Cytotechnology, etc. With the aim of faster and better dissemination of knowledge, we will be publishing articles ‘Ahead of Print’ immediately on acceptance. In addition, the journal would allow free access to its content, which is likely to attract more readers and citations to articles published in Journal.